Hi all if I want to escalate a dispute over AMEX reward points redemption, does anyone have an email contact that can be used to escalate my case? 4. the impending April 2019 Ascent points devaluation with many redemption partners. Well, it's enough. I will spend my travel credit, clear the balance and go. I'm looking elsewhere such as a pure QANTAS points card, or AsiaMiles earn if such a thing exists. I honestly could not recommend an Australian AMEX Credit card. I still find the platnium edge amex to be good value because it still effectively earns 1.5 ff points per dollar after the devaluation. I've always voiced my complaints from the number on the back of my card. 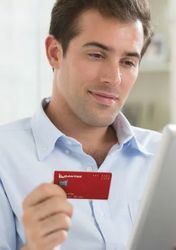 For Qantas points earning cards, I think the Qantas Ultimate card is still the best with a 1.25 points per dollar earn rate. AFAIK, there are no Asia Miles direct earn cards in Australia. Thanks for the info, I might see about a card with a high initial QANTAS points gift. It's just the Marriot points earn I would like to retain. The Priority Pass and free Platinum lounge entries would be a shame to lose with the Plat AMEX creditcard, but honestly I have only used these - one entry last year, and two entries three years ago. The AMEX lounge in DFW about five years ago, but being in Perth, QANTAS lounge is the go, we don't have AMEX lounge here, Priority Pass has been most useful in Europe. But Oneworld will be useful I think for me. So with AMEX I would really like an email address for having a written copy, plus I'm travelling so the Aussie phone numbers/timezones are a bit tricky presently.